Step One: Watch the trailer for this film about Malala Yousafzai. How does her name’s meaning and origins relate to her character and identity? Step Two: What makes up a person’s identity? 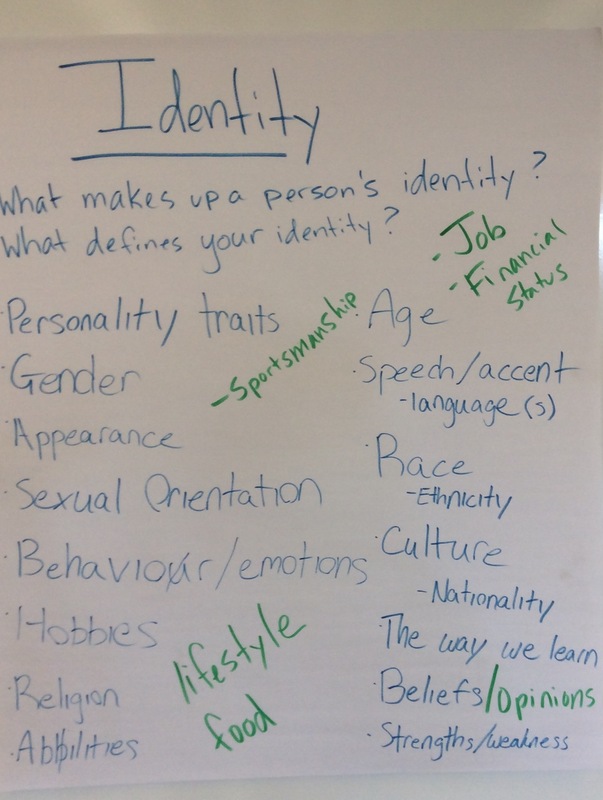 What defines your identity? Here’s the anchor chart we made in class. Step Four: Take your identity web home. Talk to a caring adult about his or her identity. Click here for directions. Step Five: Research the origins, meanings, and significance of your name. Interview family members; check name sites online; and look through “baby name” books, dictionaries, and other reference books. Think about how what you discover relates to your identity. See the writing prompt below for more information. For research note taking sheets, click here.